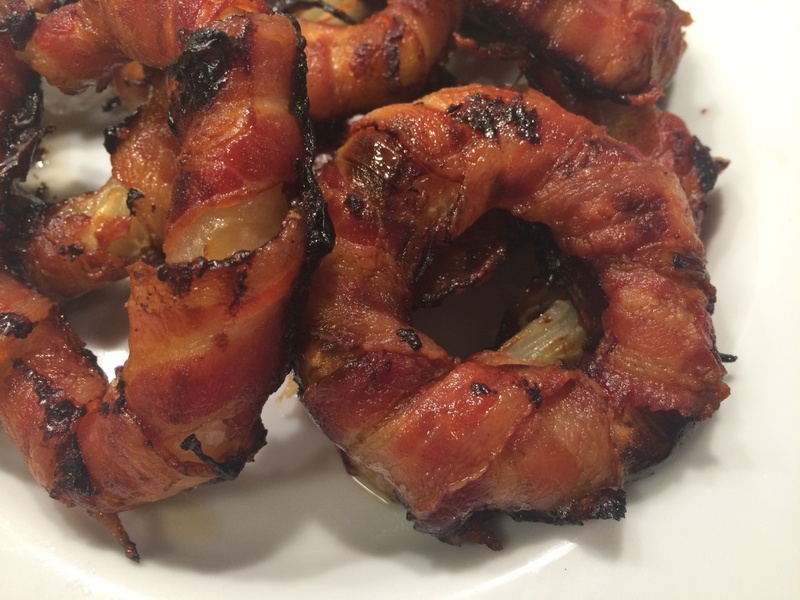 Bacon onion rings is probably the best side dish I have ever made. They are so simple to make, everybody can do it. Peel the onion and cut it in 0,40 inches wide rings. 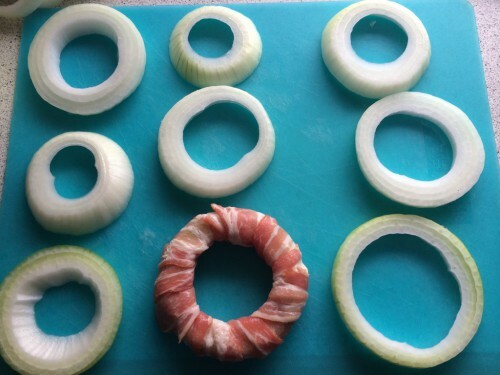 Take out the middle of the onion and fold the bacon around the onion slice. Bake in the oven for 30-40 minuts at 400 F. Remember to check the onion rings. 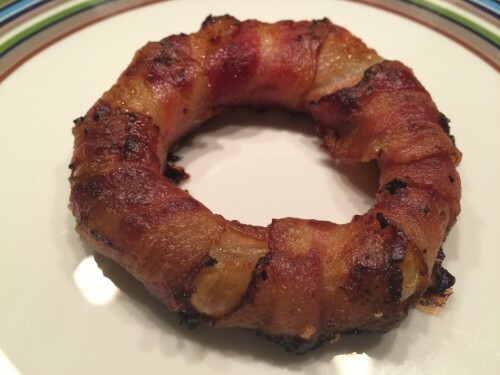 When half of the baking time is over, turn the onion rings, so that they will cook evenly.